Pampering for a Pound is back with a special edition showcasing the new Miss Beauty London collection from Poundworld. To read parts 1-7 which include skincare and beauty products from St. Ives, Nivea, Rimmel, Barry M and Revlon click here. If this is your first time reading the Pampering for a Pound series all you need to know is that I love a bargain, and simply can’t resist passing a Poundland, Home Bargain, Poundworld or charity shop without having a nose. Although I adore my high-end brands, I honestly believe that high quality beauty products don’t have to break the bank. There’s so many amazing bargains and dupes out there! Today I’m very excited to introduce the Miss Beauty London, the first £1 cosmetics range developed and made in the UK. Poundworld, one of the UK’s leading value retailers, is set to launch ‘Miss Beauty London’, a fashion-led 100 piece range inspired by bustling London culture. Hitting the shelves in over 240 Poundworld stores UK-wide Miss Beauty London offers a value alternative to other British high Street make-up brands. 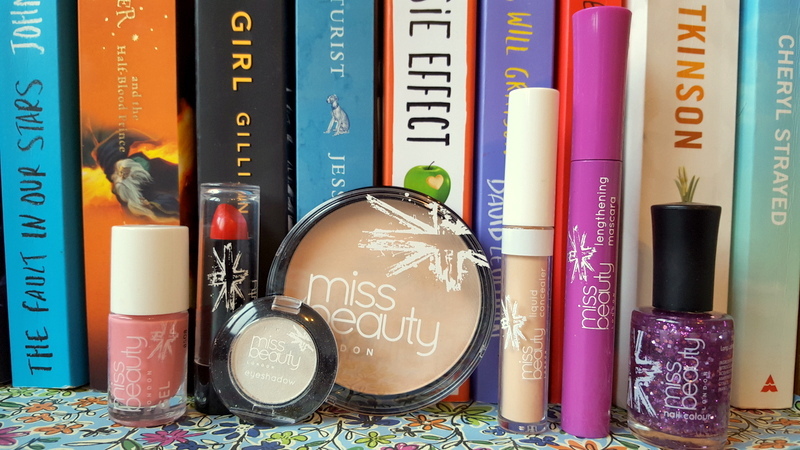 I was very kindly sent a number of products to review including their liquid concealer in No. 02 Medium, lengthening mascara, face powder in No. 2 Sweet Touch, lipstick in No.368 Bright Red, eyeshadow in No. 4. Unicorn, nail colour in No. 380 Cosmic Glitter and nail gel in No. 08 Think Pink. The Miss Beauty London eyeshadow, powder and concealer are all highly pigmented and easy to use. Although the powder was a little on the chalky side for my liking, a light sweep of this helps to mattify my skin and help set my makeup in hot temperatures. The concealer is surprisingly long-lasting considering the price. Although the initial smell isn’t very pleasant and the shade to dark for my fair complexion, the concealer is very creamy, blendable and helps to cover the bags under my eyes and discolouration around my nose and chin. The single eyeshadow in Unicorn is a soft white shade with a subtle shimmering finish, which works as a very effective highlighting shade. There was a bit of fallout from this product when applying, but again considering the price and it’s versatility I can see myself picking up a few more shades when I’m next in store to experiment with. 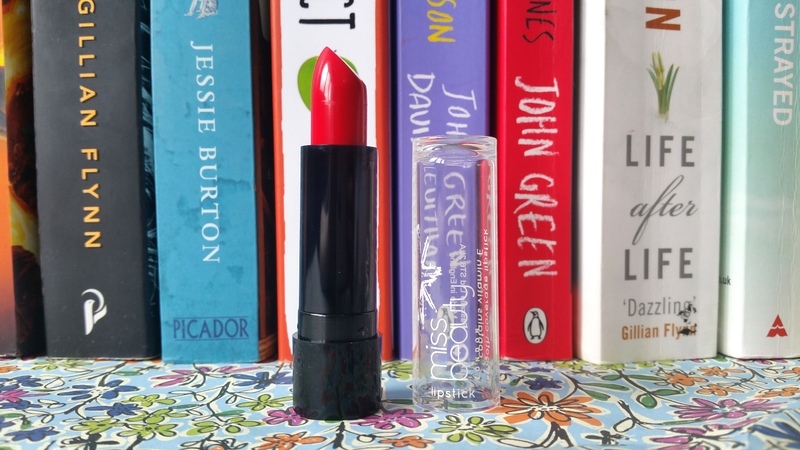 The Miss Beauty London lipstick in No. 368 is one of 21 shades available. This deep, glamorous red has tremendous staying power and is a welcome addition to my ridiculously huge red lipstick collection. No. 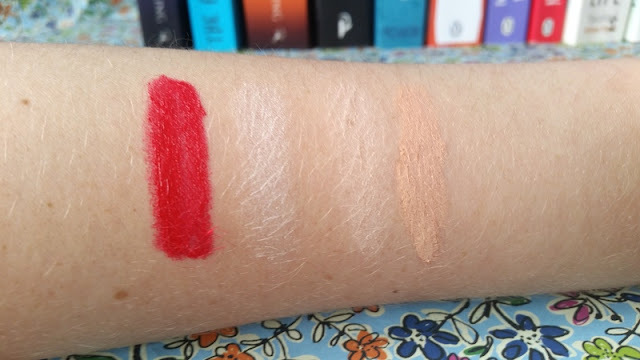 368 is, again, highly pigmented (as you can see from the above swatch). I found it a little drying so I applied a clear gloss over it towards the end of the night to re-hydrate my lips. The Miss Beauty London lipstick is perfect if you are looking to create a bold going-out statement lip. One of three mascaras (lengthening, volumising and waterproof) in the Miss Beauty London collection the Lengthening mascara does exactly what it says on the bottle. The wand itself is very unusual, similar to Givenchy’s Noir Couture, it is divided into three defined sections that work to grab and lift the lashes. 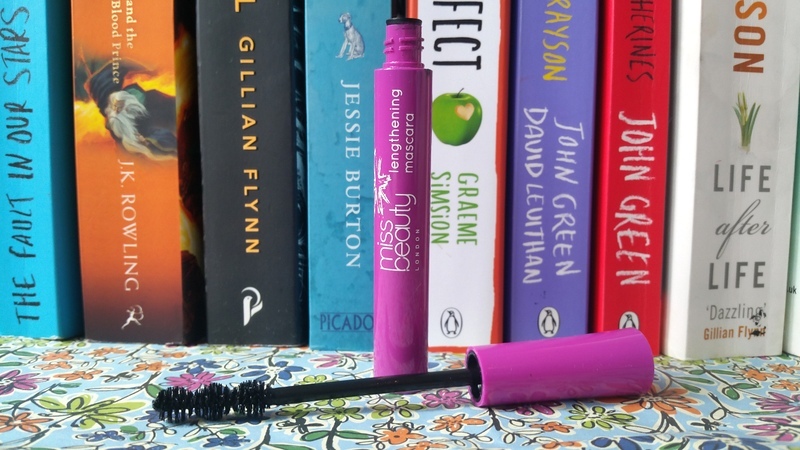 The formula wasn’t as wet as I prefer from my mascara, however after two coats my lashes looked noticeably darker, more defined and longer. Unfortunately, due to a pair of false lashes practically ripping most of my eyelashes off last week, my lashes are a lot more sparse than usual, you can see from the photo above that this £1 mascara has drastically improved their appearance. Okay, these were my two favourite products out the bunch I received! Considering I didn’t use a base or top coat I was very impressed by how long lasting this duo was! 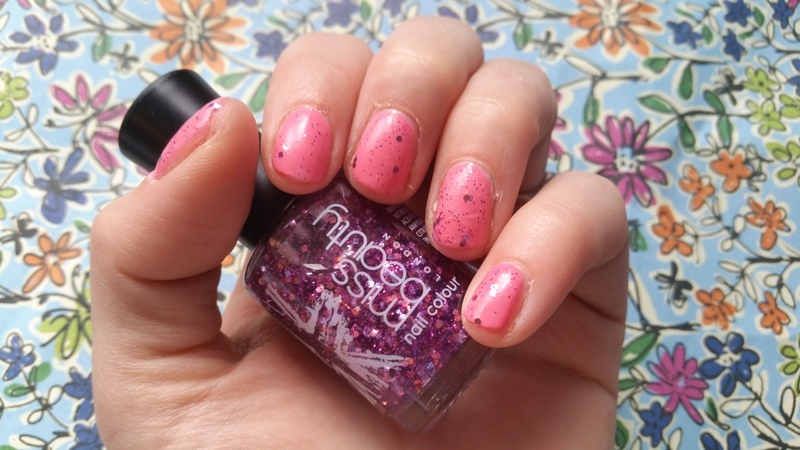 Think Pink is a very pretty, baby pink and Cosmic Glitter is a clear polish packed full of purple sparkles. I applied two coats of Think Pink and then sealed with Cosmic Glitter, which didn’t chip until day four, which, for me, is very impressive. I’m afraid the photo below doesn’t do this look justice as I received lots of compliments about how the glitter shimmered when the light hit it. My friends couldn’t believe that I used nail polishes from Poundworld to achieve this look! If glitter and pastels aren’t your thing, don’t worry! The Miss Beauty London collection contains over 55 shades and finishes, so there’s something for everyone. I’m really impressed with the range of products in this collection and how great value for money these beauty products are! I feel, with more affordable products you are more likely to experiment with colours and with different looks and not feel as guilty as you do when exploring with expensive ‘premium’ products. Overall, this 100-piece strong collection contains everything a girl needs to achieve a stylish London inspired look for less. I can’t wait to explore what else this collection offers (I’m particularly curious about the results of their Volumising mascara). 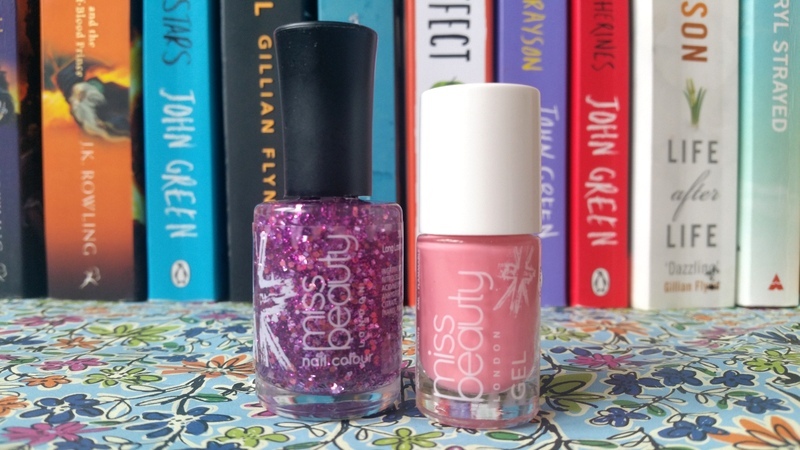 The Miss Beauty London collection retails at £1 each and is available now at Poundworld. P.S. Please remember that I am currently on my honeymoon but I will be returning on the 11th August to reply to any comments, questions and queries you may have! "Australian Bodycare Tea Tree Oil Blemish Stick Review"